﻿ The Sherwood-Davidson House Museum - Ohio. Find It Here. 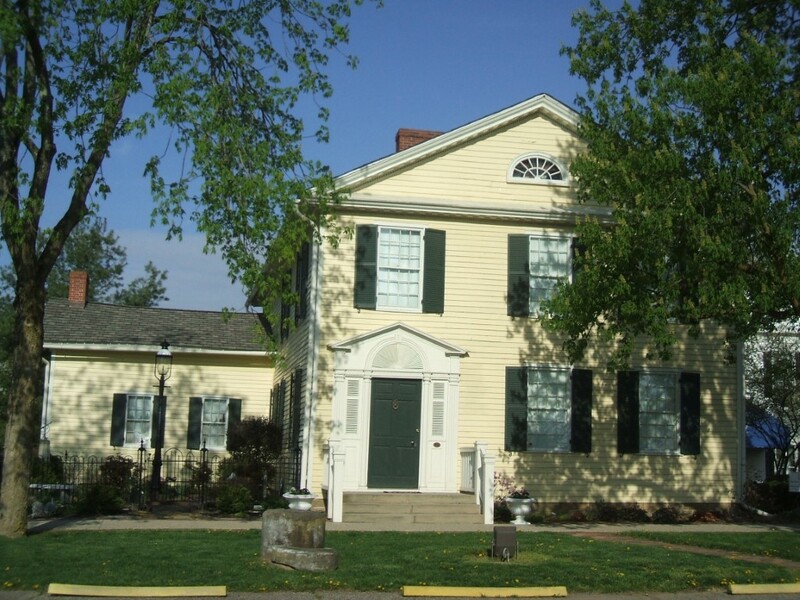 The Sherwood-Davidson House, located in Veterans Park, is one of the finest examples of Federal architecture in the Ohio Valley. It was built circa 1828 by Buckingham Sherwood, a local merchant, and has beautiful architectural details, such as the two-story gallery porch and the pedimented fan door.In 1860, Cornelia Davidson purchased the house, and the Davidson family lived in the home until 1946. Slated for demolition, the house was saved by the Licking County Historical Society in 1947, and moved to Veterans Park in 1948, where it was restored, and opened as a house museum in 1952.Reopened in 2009 after a four year restoration, the homes ten rooms have all been refurbished. From floors to light fixtures, hardware to hand screened wallpaper, period paint colors to window coverings, the results will delight all who visit this gracious home.